My good friend, Mrs. Hiromi Hasegawa/長谷川浩美さん, owner of La Sommeliere, a fine wine and sake shop doubling as a bar and small restaurant has been a lot of efforts recently to discover fine wines made in japan! 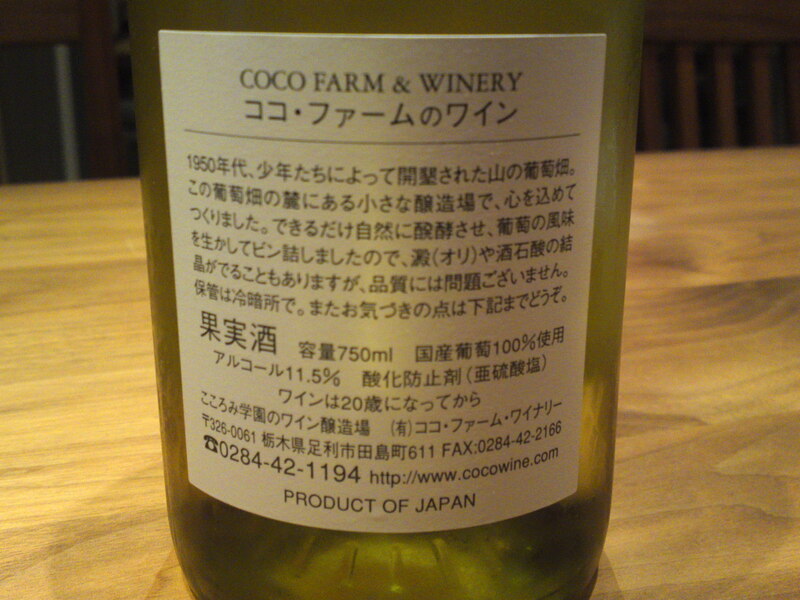 She has just introduced superlative wines from a Winery gathering a lot of praise in Tochigi Prefecture named Coco Farm Winery! 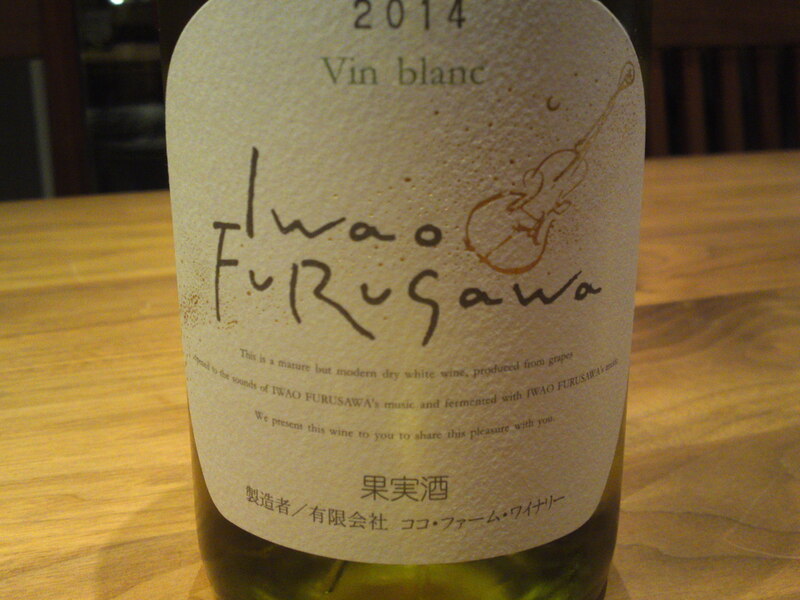 This particular white wine produced in 2014 has a been given a special name “Une Soirée de Violon”/”A Violin Evening” because the great classicl/jazz violonist, Mr. Iwao Furugawa, who has also given his name to this brew, plays a concert at the Winery every year in the Festival held every December to celebrate the latest harvest! it is somewhat complicated wine to explain! 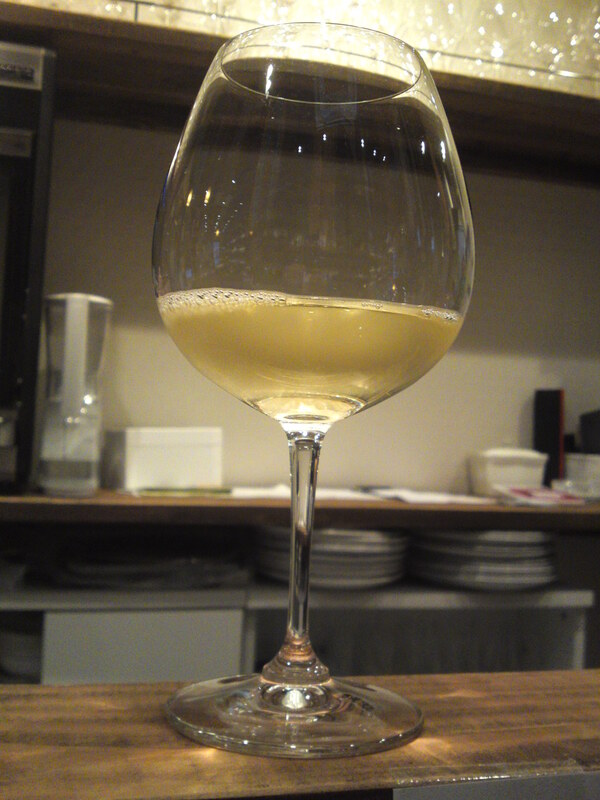 The Chardonnay grapes were harvested in Kamiyama/上山 in Yamagata Prefecture and in Takayama Mura/高山村 in Nagano Prefecture on the 24th, 27th of September and 2nd of October in 2014). The Müller-Thurgau (on the 24th and 29th of September 2014) and Bacchus grapes (on the 24th of September 2014) were harvested in Yoichi City/余市 in Hokkaido . The Koshu grapes were harvested in Katsunuma/勝沼 in Yamanashi Prefecture on the 18th and 24th of September 2014. All grapes were gently pressed before the juices were stored in stainless vats.They were to ferment at 18 degrees to maximize the aroma of the grapes.They were left a comparatively short time to ferment before being filtered and bottled. Bottlng was conducted on 10th, 11th and 12th of March 2015 into 17,436 bottles of 750 ml and 9,161 bottles of 375 ml. Taste: almost completely beside the aroma. Dry and fruity attack backed up by faint and pleasant petillant. Agreeably lingers on the palate to reveal all kinds of facets: cider-like acid apples, flowers of all kinds. Overall: very intriguing wine for Japanese winery which concentrates on the choice and blending of grapes to leave the producing to farmers all over Japan. Very reminiscent of a superior Alsace wine, especially Riesling. Definitely of a superior level in Japan despite its young age which hold promises for the future! Best enjoyed at room temperature , even for a white wine. Suggested pairings: cream gratin, vegetable pasta, asparagus, chicken dishes. Would be particularly welcome with sandwiches at lunch on a hot day! 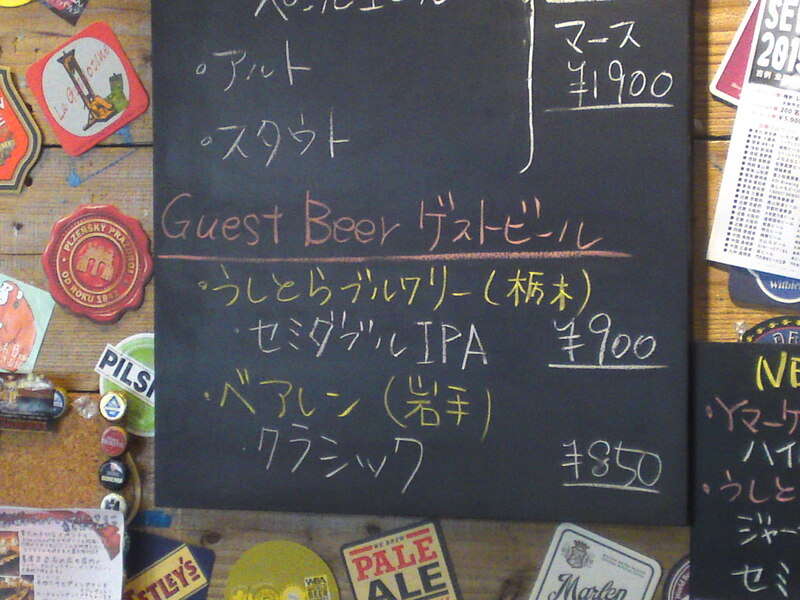 AOI BEER STAND owned by Aoi Brewery in Miyuki Cho, Aoi Ku, Shizuoka City, has the merit to offer on tap other craft beers from Shizuoka Prefecture and the rest of Japan, but you do have to hurry as they usually served only one keg before switching to another brew! 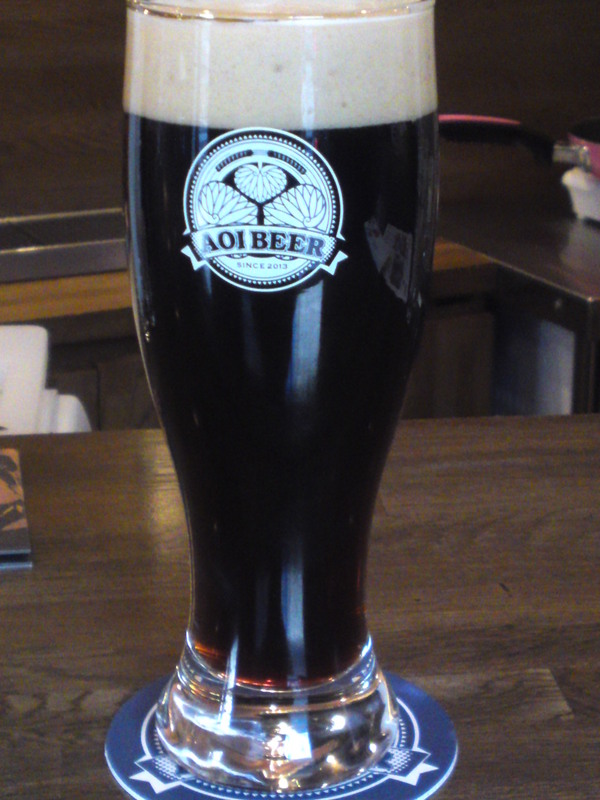 This time I tasted another interesting craft beer from Ushitora Brewery in Tochigi Prefecture: “Nenooki Koohii/Wake-up Coffee”! Taste: very refreshing and dry attack. Coffee! Hints of bread. lingers long enough for true tasting before departing with moredry coffee beans.. Overall: very light approach for a flavored craft beer. Very refreshing for all seasons! It should please anyone, especially on a hot afternoon! 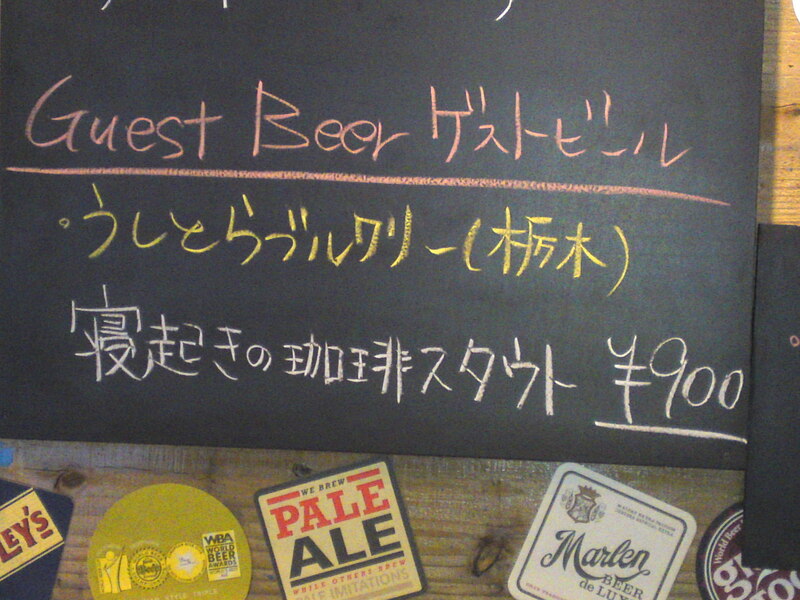 This time I tasted another interesting craft beer from Ushitora Brewery in Tochigi Prefecture: Hey! Pineapple. 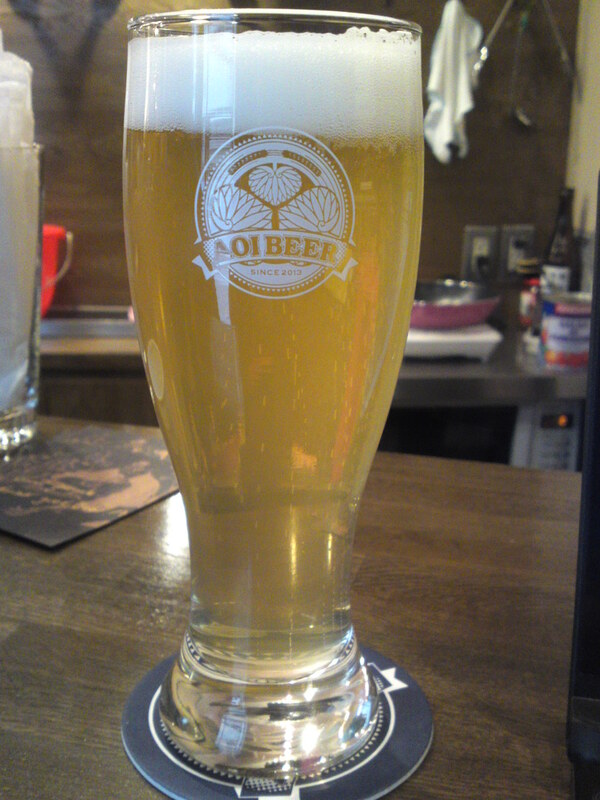 Barley, 3 types of malt, hop, live yeast. Real pineapple juice blended in twice. Taste: very refreshing, dry and fruity attack. lingers long enough for true tasting before departing with more fruity and dry pineapple but no acidity. Overall: very refreshing and light craft beer. Although produced according to 100% pineapple juice availability, would do splendidly all year round with all genders! Would particularly do well with BBQ’s! 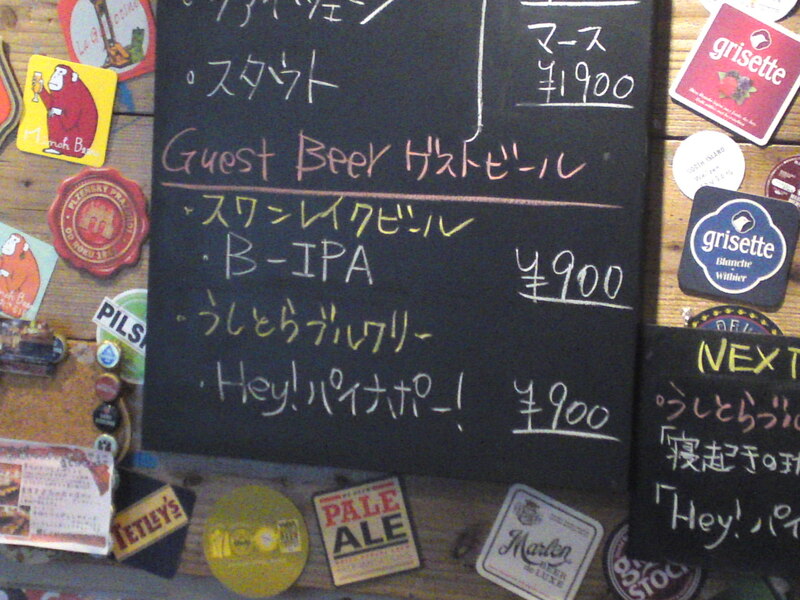 This time I sampled Semi-Double IPA by Ushitora Brwewery in Tochigi Prefecture! 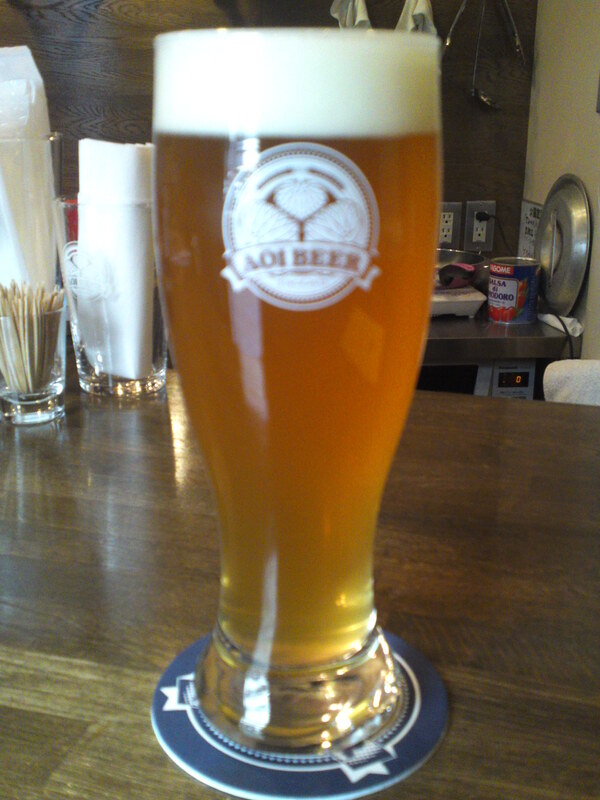 The name “semi doible” eans that it is a bit stronger than a normal IPA! Barley, barley malt, hop, live yeast. Bubbles: very fine bubbles. Creamy. Longish head. White. Aroma: assertive, dry and refreshing. Citruses, lemon. Taste:Strong, dry and fruity attack. Citruses, lemon, bread. Lingers on long enough for true tasting before departing with more dry lemons and aroma hops. Stays faithful to first impressions all the time. Overall: Splendid dry and fruity IPA! A craft beer for all seasons and occasions.